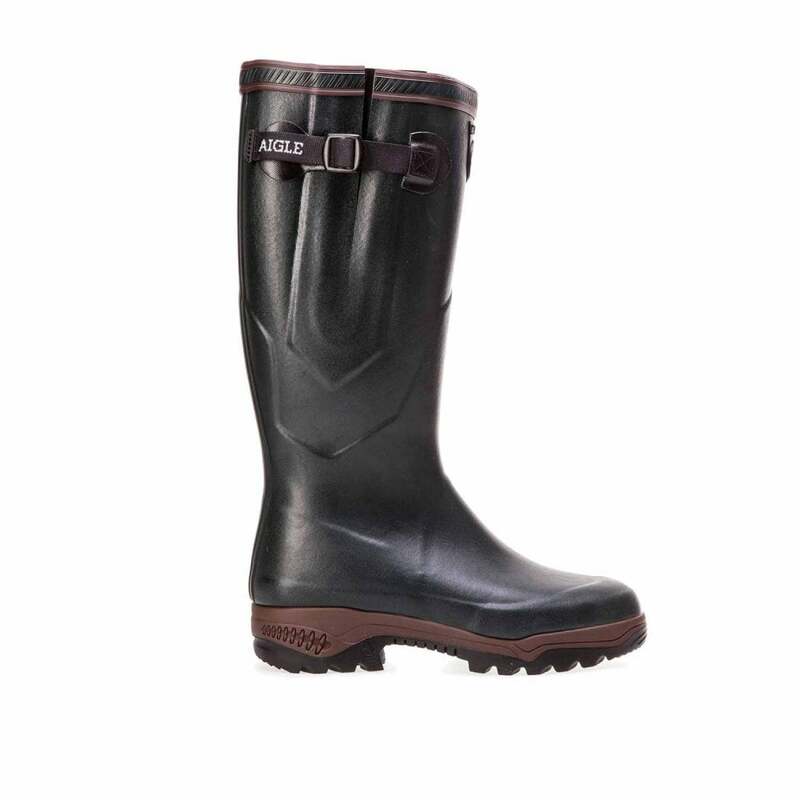 Inspired by the expert knowledge of the Aigle brand these boots have been created to give the ultimate protection from the elements. Fully lined in neoprene these insure insulation and temperature maintenance- perfect for waterproof wear. These wellies feel amazing as well as looking incredible, specialist knowledge of the designers have created a boot that supports and protects the roll of the foot. With an outer gloss and colour trim these look great whether you are stuck in muddy fields or out walking in bad weather.